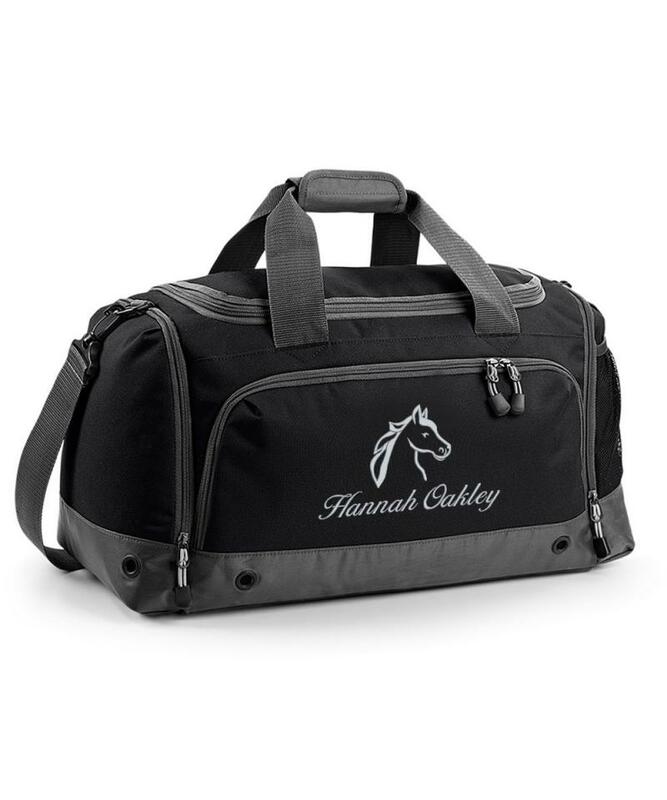 Personalised Horse Riding / Grooming Holdall with embroidered Horse Logo. 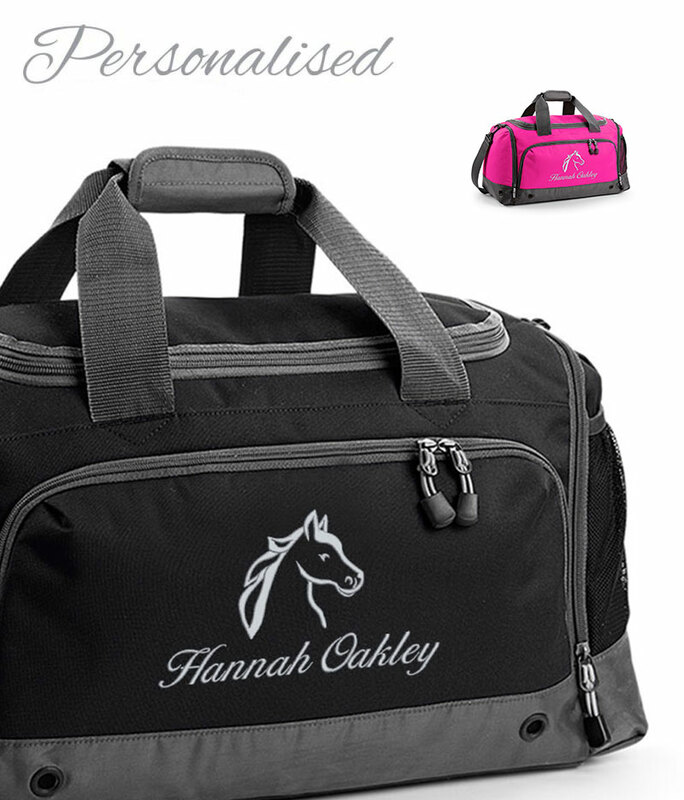 Wonderful gift for Horse riders or those who are in the equestrian trade! 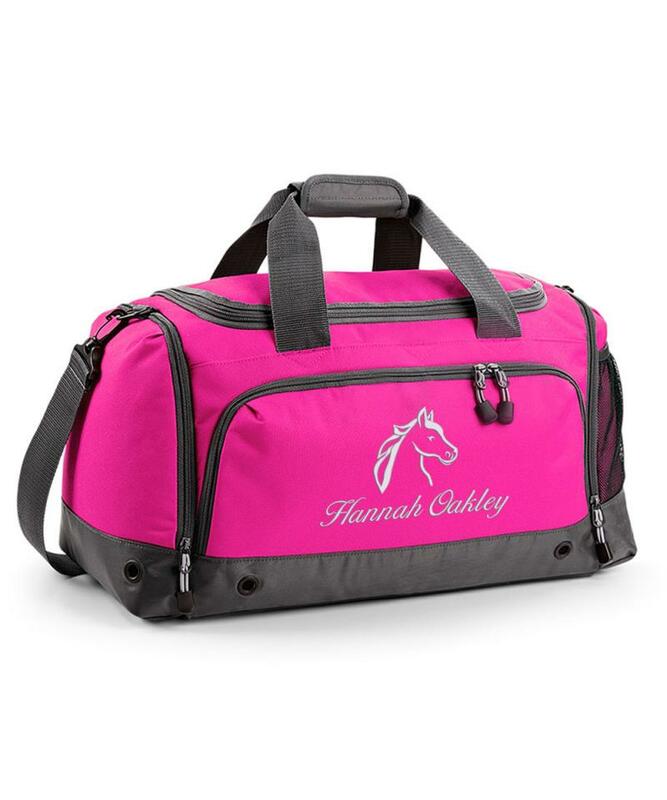 The bag is very durable and great for travelling to and from stables or to shows. 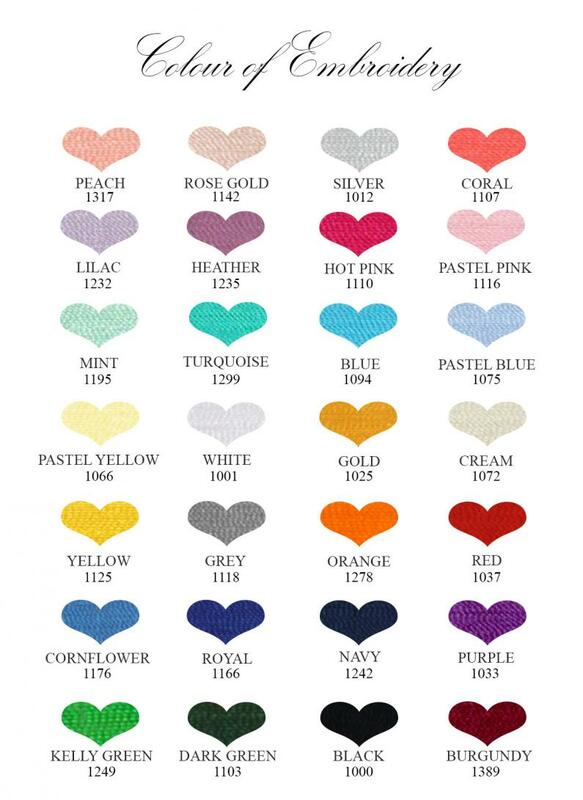 Please note that unless we receive specific instruction from you, we will use our discretion to embroider the design how we think it will best look. e.g. 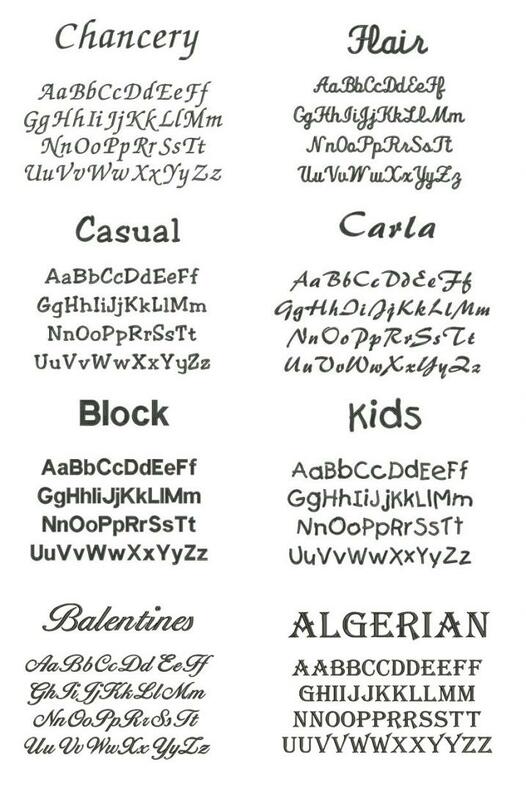 Initials may be positioned on a slant, or longer text on 2 lines.